This article is the second part of a series on AI on blockchain Ecosystems. In these overviews, I will provide outlines of why we need it, how is it achieved, and what does it offer. Smart contracts, known to be used with the blockchain technology, is a computer program that directly controls the transfer of digital currencies or assets between parties under certain conditions. Smart contracts, contrary to traditional contracts, covert the agreement statements into a computer program with code. A smart contract not only defines the rules and penalties related to an agreement in the same way that a traditional contract does, but it can also automatically enforce those obligations. It has the potential to disintermediate industries such as the legal and financial fields by simplifying and automating routine and repetitive processes for which people currently pay lawyers and banks hefty fees to do. How Do Traditional Contracts Work? 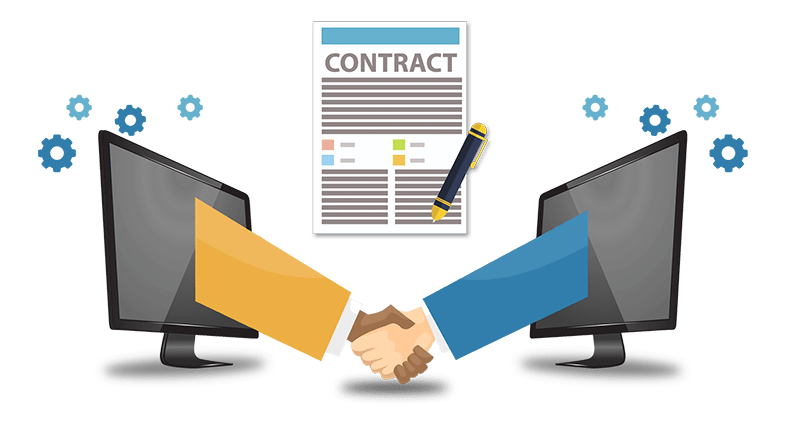 A traditional contract is an understanding or agreement between two or more parties to do certain things. It is a written set of conditions and actions to be performed. Since the written contract is not void of ambiguity, different parties can have a different interpretation of the contract. Thus, it requires a third party to enforce the law.